Managing a business presents countless logistical issues, and dealing with in-house printer services just tacks on responsibilities and keeps costs at a high level. Combined with an ever-increasing focus on digital workflows, more organizations have been making the move toward managed print services, which work to solve some significant business challenges. Print Cost Reduction: By putting all of the printing responsibilities in one place, you open the doors to improved tracking and analysis capabilities that will ultimately streamline the printing and data processes. Once they pinpoint areas of improvement and potential savings, costs will be greatly reduced. Workflow Optimization: Outdated office document strategies inevitably lead to counterproductive workflows. That's why it's crucial for managed print services to identify the best method of automating processes for document printing and scanning. The creation of searchable digital files, for instance, takes away the need to manually hunt for information, putting everything at the users' fingertips. Security Improvements: Thanks to secure servers that require authentication and other means of risk mitigation, managed print services are a great way to improve data security. When applied properly, these methods will help companies enforce their policies regarding information distribution, with a handy audit trail in place to identify everyone involved with specific documents. 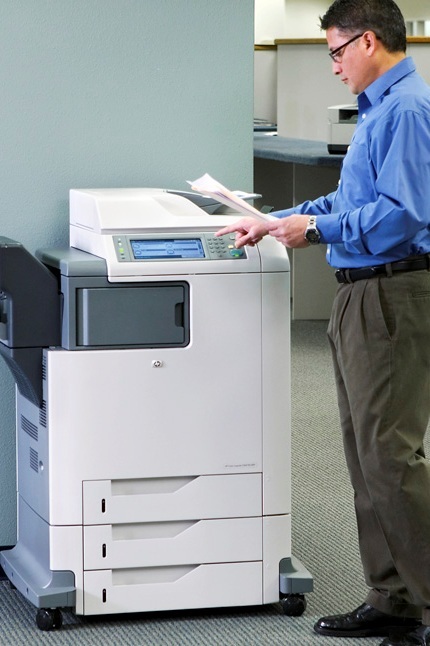 They key to making the most out of managed print services is clear communication regarding your company's workflow and the balance between digital and physical data dependency. Whatever works best for you, the professionals at Laser Line will help take your business's efficiency to the next level. Visit them online for more information on their printing solutions and give them a call at (410) 636-1700.